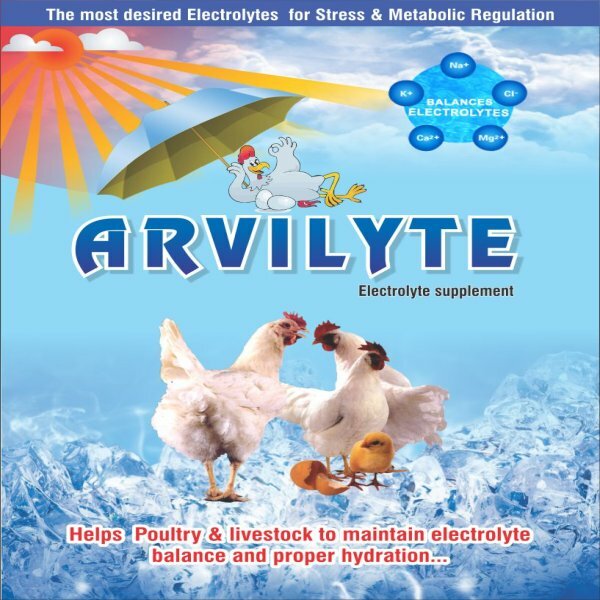 Supplement electrolyte for normal funtioning of the body & proper metabolic function. Maintains the poultry birds to remain in cool conidtion during excess heat. Maintains the birds in proper hydrated state. Prevent mortality due to heat stress.